How Clean Are Your Cleanliness Habits? 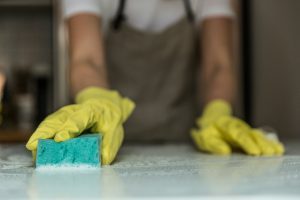 We are always thinking about cleaning the obvious things like sinks, toilets, countertops or the shower but there are many other places that we need to consistently clean, as well. 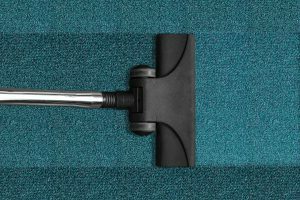 When we do these non-regular chores, we eliminate grim build up and germs that are easily spread due to their lack of proper cleaning. Germs and grim build up allow for illnesses to spread easily and can cause other health problems. Prepare for the cold and flu season by breaking out of your bad habits. Here is a list of poor habits and what you can do to fix them. Sleeping in your bed every night for 8 hours adds up over time. Wash your sheets every two weeks. Tip: Make sure to put them in the washing machine on normal to kill the germs that are building up on the sheets. At Errund.com, our cleaning professionals can wash, dry, and fold laundry on top of doing the house cleaning. Laundry is typically not included but can be added under extras, if people wish. This accounts for an additional hour of cleaning at $26/hr. You may wash your pillow cases, but do you actually was the pillow? Wash every six months and replace when they loose shape. 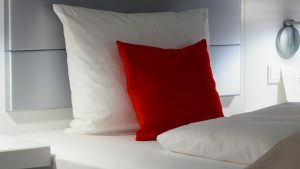 Tip: Use feather pillows because you can put them in the wash. 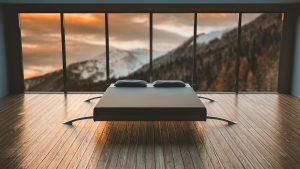 Cleaning your sheets and your comforter is something we all know we should do but grim and germs build up on the mattress over time and most of us do not realize this. Vacuum and spray every your mattress every few months. Tip: Sprinkle baking soda on mattress, leave for 15 mins, then vacuum. If you want, you can even spray Lysol over the mattress to get rid of odor creating bacteria. Replace it frequently – honestly, you should not even have one. You’re better off using wash cloths. 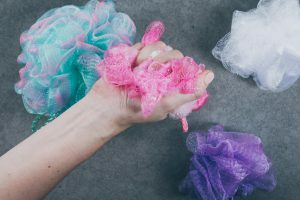 Loofah’s attract mold and mildew. Who wants to rub that all over their body? Tip: Soak the loofah in diluted bleach solution every week. 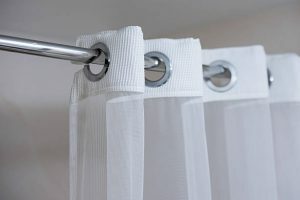 People might not think to clean the shower curtain but this wet and warm place attracts mold and mildew. Whenever you see mildew, wash it. Tip: Make sure to let the curtain dry out. When you get out of the shower, keep the curtain open, open the windows or doors in the bathroom, or turn on the exhaust fan. Your sponges are there to clean and scrub surfaces, don’t spread dirt and germs around. Replace the sponge every 2 weeks. Tip: Soak the sponge in a gallon of water that is mixed with ¾ cups of bleach for 5 minutes every week. It will last longer than 2 weeks. 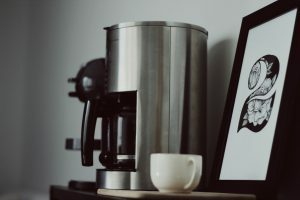 Many people drink coffee on a daily basis. Some people cannot even go through the day without a cup. 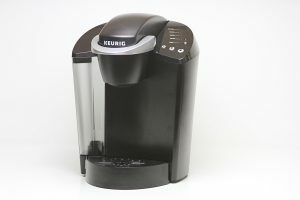 After the daily use of a coffee maker, minerals build up and make the coffee less fresh. Wash removable parts after every use and decalcify, the removal of mineral build up, every month. Tip: Run a vinegar solution through the machine to prevent build up. Similarly to the Coffee Maker, the grim will build in here too. Water that sits in the machine can lead to mold build up. Clean removable parts after every use and replace cartridge every month. Tip: Swap out the water filter every 3 to 6 months. People often do not change the vacuum bag frequently enough. Not only will this lead to not sucking up all the dirt, but it can cause machine malfunction. Remove the vacuum bag when it is ¾ full. Tip: Regularly clean the canisters and filters to improve machine function.